After securing Wessex, Alfred turned his attention to Mercia. 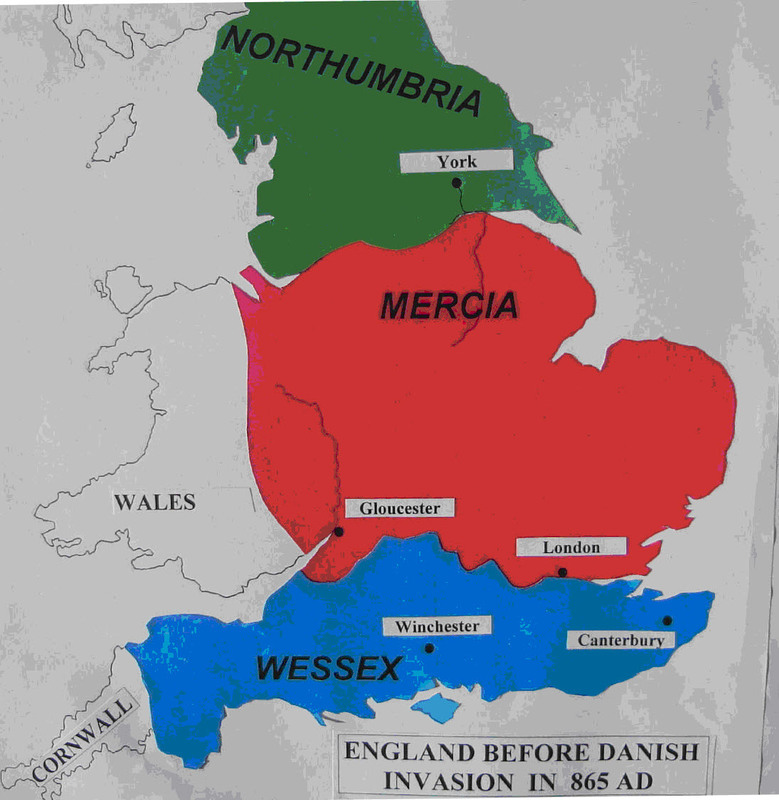 Mercia and Wessex were two of three largest Anglo-Saxon kingdoms (Northumbria was the third), but had been severely weakened by the Danish invasions. Alfred's wife Eallswith was a Mercian and the alliance between Wessex and Mercia, was cemented by marrying Ethelfleda, at the age of 15, to Ethelred the leader of the area of Mercia outside Danish hands. While travelling to Mercia for her wedding her band was attacked by the Danes in an attempt to kill her and so sabotage the alliance between Wessex and Mercia. Though half her company perished in the first attack, Ethelfleda used an old trench as a fortress, and defeated the Danes. This was the start of her married life! Ethelred acknowledged the leadership of Alfred and in later years had a similar relationship with Alfred's successor Edward, as they realised Wessex and Mercia could not survive as separate kingdoms. Ethelred and Ethelfleda continued Alfred's work in fortifying existing towns and building new burhs in Mercia.